Bromine is a halogen, and one of the few elements that is liquid near room temperature. The others are caesium, francium, gallium, rubidium, and mercury. The largest producers of bromine are the United States and Israel. In the US, Arkansas and Michigan are the main producers. Domestic Production and Use: Bromine was recovered from underground brines by two companies in Arkansas. Bromine was the leading mineral commodity, in terms of value, produced in Arkansas. The two bromine companies in the United States accounted for about one-third of world production capacity, although one company closed one of its plants early in the year. Primary uses of bromine compounds are in flame retardants, drilling fluids, brominated pesticides (mostly methyl bromide), and water treatment. Bromine is also used in the manufacture of dyes, insect repellents, perfumes, pharmaceuticals, and photographic chemicals. Other products containing bromine included intermediate chemicals for the manufacture of chemical products and bromide solutions used alone or in combination with other chemicals. Recycling: Some bromide solutions were recycled to obtain elemental bromine and to prevent the solutions from being disposed of as hazardous waste. Hydrogen bromide is emitted as a byproduct in many organic reactions. This byproduct waste is recycled with virgin bromine brines and is a major source of bromine production. Plastics containing bromine flame retardants can be incinerated as solid organic waste, and the bromine can be recovered. 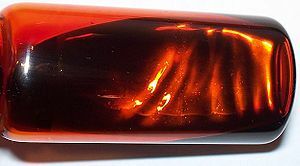 This recycled bromine is not included in the virgin bromine production reported to the U.S. Geological Survey by companies but is included in data collected by the U.S. Census Bureau. Import Sources (2006–09): Israel, 86%; China, 7%; and other, 7%. Events, Trends, and Issues: Although still the leading bromine producer in the world, the United States’ dominance has decreased as other countries, such as Israel, Japan, and Jordan, strengthened their positions as world producers of elemental bromine. China also is a significant bromine producer, although environmental restrictions to protect farmland, limits to plant expansions, and shutdowns of unlicensed bromine operations have resulted in tight supplies in China and driven up prices globally. The leading use of bromine is in flame retardants; however, this use is in decline because of the environmental considerations and potential health effects related to specific bromine flame-retardant compounds. In the United States in 2010, bromine chemical producers and importers reached an agreement with the U.S. Environmental Protection Agency to voluntarily phase out the production, importation, and use of decabromodiphenyl ether (Deca-BDE), a widely used flame retardant, in all consumer products by December 2012, and in all products by the end of 2013. Legislation with similar requirements was introduced in the U.S. House of Representatives. Canada and the European Union already had banned the use of Deca-BDE in computers, televisions, and textiles. Several companies were pursuing new markets for bromine to mitigate mercury emissions at powerplants. Bromine compounds bond with mercury in flue gases from coal-fired powerplants creating mercuric bromide, a substance that is more easily captured in flue-gas scrubbers than the mercuric chloride that is produced at many facilities. Wide acceptance of the new technology would likely increase demand for bromine, counteracting, at least in part, the decline expected from the ban on Deca-BDE. Bromine and bromine compound prices increased in 2010, reflecting the expanding markets of bromine, especially in China, and increases in the costs of energy, raw materials, regulatory compliance, and transportation. World Resources: Bromine is found principally in seawater, evaporitic (salt) lakes, and underground brines associated with petroleum deposits. In the Middle East, the Dead Sea is estimated to contain 1 billion tons of bromine. Seawater contains about 65 parts per million of bromine, or an estimated 100 trillion tons. Bromine is also recovered from seawater as a coproduct during evaporation to produce salt. Substitutes: Chlorine and iodine may be substituted for bromine in a few chemical reactions and for sanitation purposes. There are no comparable substitutes for bromine in various oil and gas well completion and packer applications that do not harm the permeability of the production zone and that control well “blowouts.” Because plastics have a low ignition temperature, alumina, magnesium hydroxide, organic chlorine compounds, and phosphorus compounds can be substituted for bromine as fire retardants in some uses. Bromine compounds and bromine acting as a synergist are used as fire retardants in plastics, such as those found in electronics. Albemarle Corporation (NYSE: ALB) - In 1999, they announced the completion and startup of a 50,000-metric-ton-per-year production facility for tetrabromobisphenol-A(TBBPA), a flame retardant. Arab Potash Company (AFM: APOT) - Their Jordan Bromine Company is a joint venture with Albemarle. Israel Chemicals Limited (TLV: ICL) - produces bromine from the Dead Sea through its subsidiaries, the Dead Sea Bromine Group and Clearon Corporation. Ameribrom is their US-focused subsidiary. Solaris ChemTech - bromine and specialty bromine chemicals producer in Haryana, India. 2011-06-02 - (bw) - Significant profit increases consistently reported by bromine producers according to Merchant Research & Consulting, Ltd.